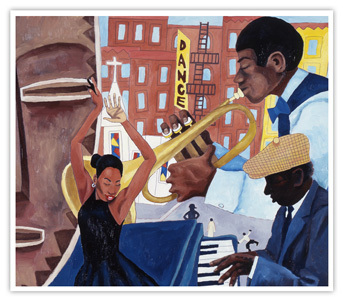 This image is reminiscent of the days of the Harlem Renaissance. Representing the vibrant creativity of that era through the arts. This vibrant montage has been featured in a variety of media and has been a popular image in the Evans collection.